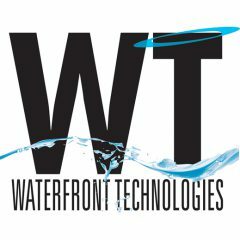 IT | Waterfront Technologies, Inc.
Water is the only substance on earth that is naturally present in three different forms: as a liquid, a solid (ice) and as a gas (water vapor). How does your company communicate in an ever changing technical environment? Does your competition do it faster/smarter? Waterfront developes critical e-based client/server and mobile solutions that put our clients ahead of the technology power curve. We provide customized Client/Server, Mobile and Internet based software and hardware solutions. We are expert in the developing solutions that utilize the full range operating systems and devices—Server, PC, Hand Held or Tablet based. Our structured forms, utilities and databases meet client information needs and are of the highest standards. One specialty area is wireless communications via local and wide area networks with security, accuracy and performance being maximized. We also specialize in providing expertise to handle CM, CMM, QA and Security challenges assuring compliance and process improvement. Waterfront provided web and programming support to OFLC. Used Oracle DBMS for development and maintenance where complex stored procedures, SQL update, insert scripts and Database Definition Language scripts are maintained and developed. All source code is checked into and out of PROTECH’s centralized and secure source repository. All releases are well documented with associated change requests included as detail. Each release is unit and UAT tested before it is installed into production with review given by proper CM/QA team. All systems are Section 508 compliant, meeting government accessibility requirements. The OFLC system is one of the most used web systems in the country.